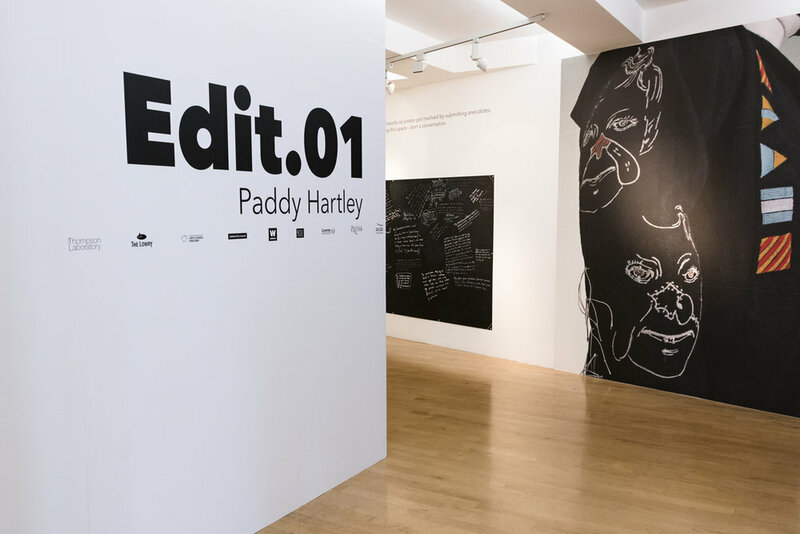 Edit.01: Paddy Hartley at The Lowry, Salford. 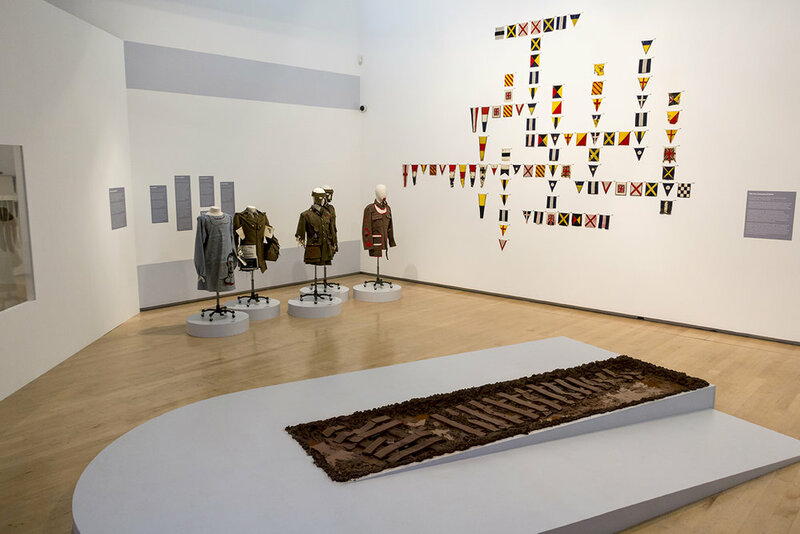 During his residency at The Lowry, Hartley exhibited work from his Project Facade series of digitally embroidered uniforms and installations, alongside his Yeo Crossword and Papaver Rhoeas biotissue poppies for the first time. 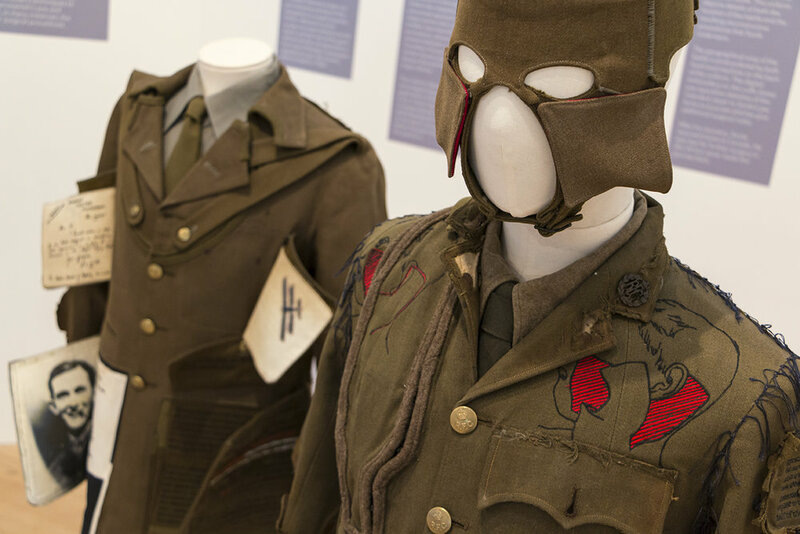 A new work 'Trench', created specially for his residency at The Lowry saw a constantly evolving installation piece involving the excavating and moulding of clay into artworks inspired by battlefield archaeology and memories bound to personal artefacts kept by WW1 servicemen. His responses in clay were returned to Trench to disintegrate in the in-gallery archeological trench, existing only in the memory of those who saw the work. Visitors were given a glimpse into his studio practice, and had the opportunity to ask him questions, discuss his ideas and share their own ancestral stories of the First World War. Thanks to our sponsors Michelmersh Brick Holdings PLC, The Thompson Laboratories, King's College London, The Wellcome Trust, Coventry University, Exeter University and Exeter Sewing Machine Company, all of whom have contributed and supported to the making of the work exhibited . Thanks to the family of William Michael Spreckley for their continued generosity, permission and support in sharing his story.